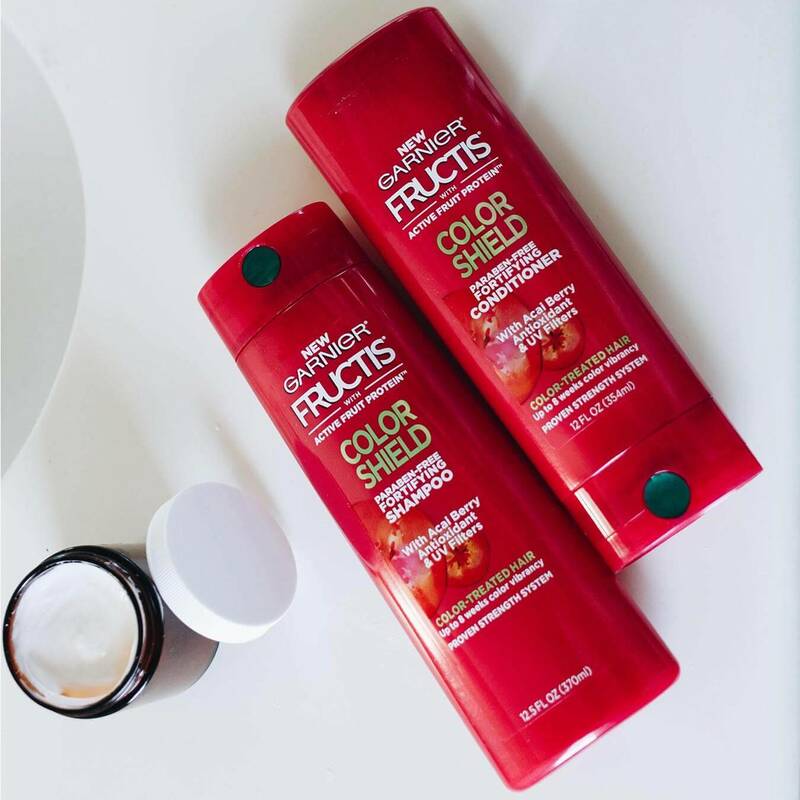 Fructis Color Shield Shampoo, with Acai Berry Antioxidant & UV Filters, helps restore hair’s power to keep color looking & feeling fresher for longer. 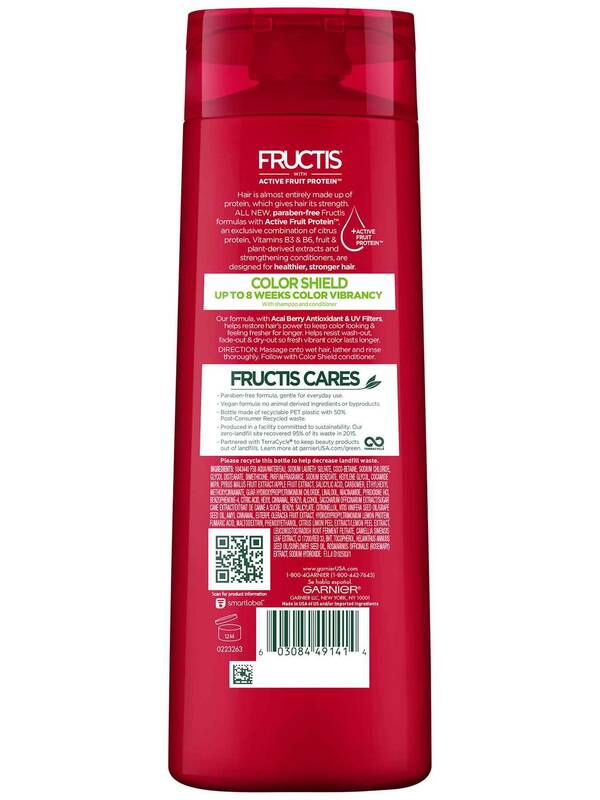 Helps resist wash-out, fade-out & dry-out so fresh vibrant color lasts longer. Massage onto wet hair, lather and rinse thoroughly. Follow with Color Shield conditioner. Rich in skin-loving antioxodants, the Açai Berry, which hails from an Amazonian palm tree called Euterpe oleracea, is also a natural hair color protectant. Rated 5 out of 5 by CK09 from Keeps my hair color and shine I am very happy with it. I understand some people believe that the shampoo is not capable of retaining the color; but, I have to disagree because it takes me almost 3 months, to go redo my hair color. And everyone always talks about how beautiful and shinny my hair is. I just say is my shampoo. There is one trick. Once a week, use a color safe clarifying shampoo / anti- residue shampoo, so your actual shampoo can make your hair more vibrant. Now, for those whose experience were negative, saying that the color ran out. Well, that is not to blame on the shampoo, but rather on the quality of the coloring brand. Trust me I have been using this shampoo for 1 year. Rated 4 out of 5 by Happy blonde from makes my hair feel soft, great smell I bought this over the weekend, and after using it I noticed it makes my hair feel soft, and I love the smell!!!!! Rated 5 out of 5 by Joni48 from I like it Can't understand all the negative reviews. I used this for first time yesterday , shampoo only since I had leftover conditioner from my last dye job. It left my normally dry, frizzy, dull and flat hair shiny and full bodied. This is my new shampoo and I will pair it with your conditioner next time. Thank you, Garnier. Rated 1 out of 5 by Polu from Color was running down the drain! I should have heeded the reviews stating that this will fade hair color. I applied some, washed in old water and watched the water turn black. Thanks Garnier for nothing. Rated 1 out of 5 by PurplehairMel from Unhappy I bought this a month ago after highlighting my hair. I went from have one to multiple. This is pulled out so much color even several weeks after the highlighting. My hair doesn't feel clean hair itself feels rough. Throwing the bottle away and finding something else. Rated 1 out of 5 by eeqlmc2 from Color Shield should be Color Removal I was loving my colored hair and wanted to be sure to do what I could to maintain the color. I ran out of the shampoo that I normally use and decided to try my daughter's Color Shield Shampoo. The suds instantly turned dark and most of my color washed away with the shampoo. 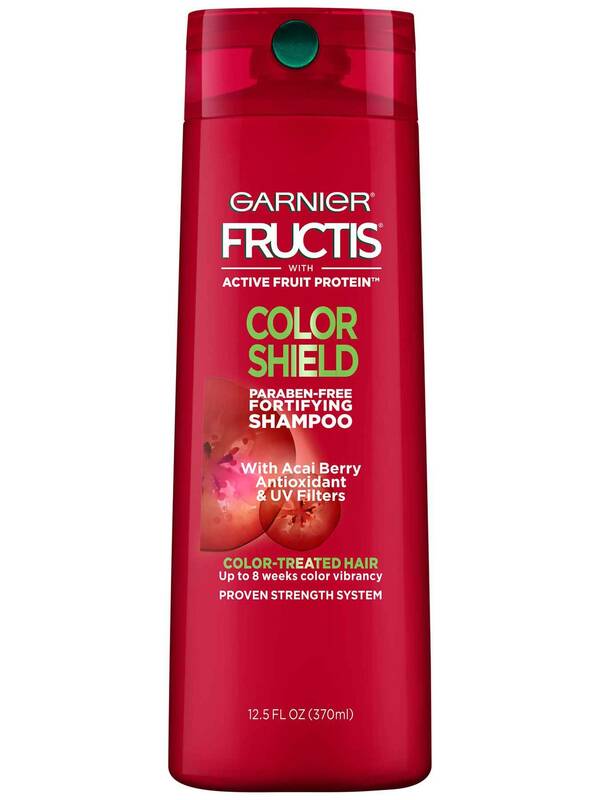 Rated 5 out of 5 by mikeydj from where's my color shield shampoo WITH conditioner I really loved the Garnier Fructis color shield Shampoo & Conditioner, a 2 in one combination I can't seem to find anymore... It's the only product I could use safely every day with great results, and so convenient for travel too... If there's any left I would gladly buy a case, please Garnier? ?